At Land Rover Main Line, our team of highly qualified technicians are focused on providing exceptional service in a timely manner. Whether changing your oil or replacing your brakes, we always maintain the highest standards for delivering the best service possible, every time. What is the Process of Scheduling a Service Appointment? To schedule your next service appointment, please fill out our convenient online form, or call us at (610) 520-2000. Our service staff will make every effort to schedule you as soon as possible. Once a service request is submitted, we’ll respond via your preferred method of contact, ask any remaining questions and confirm your appointment. Live in Philadelphia, Devon, Haverton, Wayne, and need an auto repair? You’re in the right place. 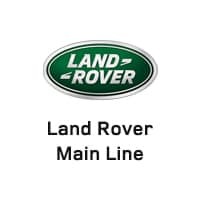 The hand-picked team at Land Rover Main Line is renowned for their love of all things Land Rover, their rich Range Rover Evoque, Range Rover Sport, LR4 and LR2 expertise and the ability to work efficiently so as to meet customers’ busy schedules. To learn more, get a quote, or make an appointment, contact Land Rover Main Line today. Or, visit us in person at , .